The passage of time since September 11, 2001, has not diminished the distrust many of us feel surrounding the official story of how 9/11 happened and, more specifically, who financed and supported it. After eleven years, the time has come for the families of the victims, the survivors and all Americans to get the whole story behind 9/11. Yet the story of who may have facilitated the 19 hijackers and the infrastructure that supported the attacks — a crucial element of the narrative — has not been told. The pieces we do have underscore how much more remains unknown. Did the hijackers execute the plot alone, or did they have the support of forces other than the known leaders of al-Qaeda — a network even — that provided funds, assistance, and cover? It is not merely a question of the need to complete the historical record. It is a matter of national security today. If a support network was available to the terrorists before 9/11, why should we think it has now disbanded or been rolled up? It may still be in place, capable of supporting al-Qaeda or other extremist groups that hate America — of which there are many. From the outset of the Congressional Joint Inquiry into 9/11, it seemed implausible that the hijackers — most of whom spoke no English and had never been to the U.S. — could have executed the heinous plot on their own. 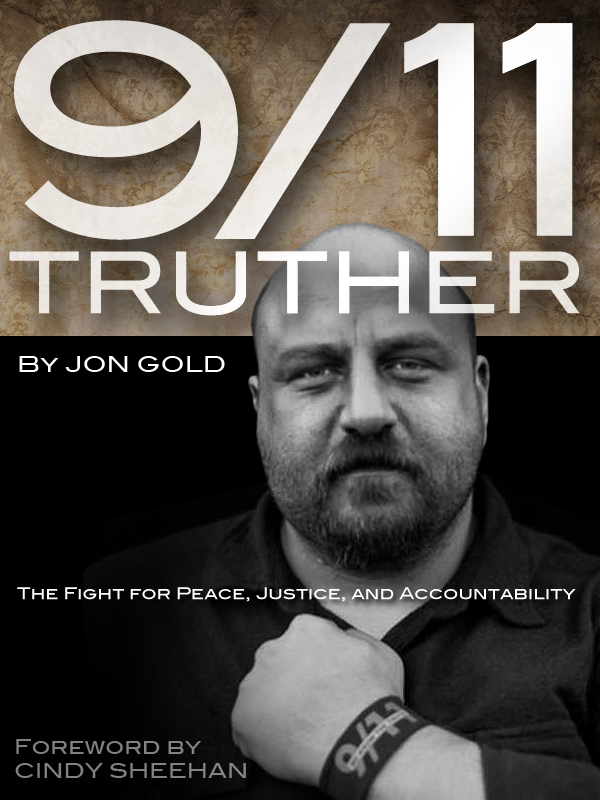 The inquiry proved those suspicions justified, and a 28-page chapter in its report centered on sources of foreign support for some of the September 11 hijackers while they were in the United States. That chapter remains censored, denied to the American people. Sadly, those 28 pages represent only a fraction of the evidence of Saudi complicity that our government continues to shield from the public, under a flawed classification program which appears to be part of a systematic effort to protect Saudi Arabia from any real accountability for its actions. For example, after a nearly eight year delay, the CIA recently responded to Freedom of Information Act (FOIA) requests submitted on behalf of the 9/11 families in 2004, for reports and documents cited in the notes of the 9/11 Commission’s Final Report. Unfortunately, when it came to documents such as a 16-page CIA report titled “Saudi Based Financial Support for Terrorist Organizations,” our own government redacted every word of substantive text. The information indicating there were networks, foreign sources of support within the United States other than al-Qaeda, and that those networks had the backing of Saudi Arabia, is today stronger than ever. Here are some of the pieces of the puzzle. Often over the FBI’s objections, the Congressional Joint Inquiry uncovered a good deal about a support network in San Diego, California. There, a man named Omar al-Bayoumi, whom the FBI had identified as a Saudi agent even before 9/11, provided direct assistance to future hijackers Nawaf al Hazmi and Khalid al Mihdhar. Those two Saudi citizens, who came to the U.S. only ten days after attending a terrorist summit, were the vanguard of the operation on U.S. territory. Bayoumi, a “ghost employee,” was paid by a Saudi company but not expected to report for work. The company’s monthly non-salary payments to him increased eight-fold after the two hijackers arrived in San Diego. He and his family left the country seven weeks before 9/11. The FBI withheld from the Congressional Inquiry, and from the subsequent 9/11 Commission, the fact that it had investigated another potential support pod for the hijackers in Sarasota, Florida. That information became public on the tenth anniversary last year, following persistent work by Anthony Summers, co-author of The Eleventh Day, this year’s Pulitzer Prize for History finalist, and his colleague Dan Christensen, an investigative journalist in South Florida with BrowardBulldog.org. In the Sarasota case, law enforcement officials suspected that several hijackers, including their leader Mohamed Atta, repeatedly visited the home of a Saudi couple in a suburban gated community. Their visits, sources who were involved at the time say, were on record — the license plates of vehicles they used to enter the community had been automatically photographed. The Saudi couple abruptly left their posh home, bound for Saudi Arabia, about two weeks before 9/11. The husband and his father-in-law were apparently on a watch list at the FBI and a U.S. agency involved in tracking terrorist funds was interested in both men even before 9/11. When the Sarasota case erupted in September of 2011, the FBI issued two public statements, each of which declared there had been a full investigation of the alleged relationship between hijackers and persons in Sarasota; that investigation determined there was no such relationship; and that the Congressional Joint Inquiry and the 9/11 Commission had been informed. Through personal knowledge, interviews and files which were made available it was found that these public statements were untrue. In July of this year, the Senate Permanent Subcommittee on Investigations, Committee on Homeland Security, issued a 330-page report faulting banking giant HSBC for ignoring the ties to terrorist financing of Al Rajhi Bank, Saudi Arabia’s largest private bank. The report states that after the 9/11 attacks, “evidence began to emerge that Al Rajhi Bank and some of its owners had links to organizations associated with financing terrorism, including that one of the bank’s founders was an early financial benefactor of al Qaeda.” This individual was identified in the report as being part of Osama bin-Laden’s “Golden Chain” of al-Qaeda financiers. Other information indicating that there was a Saudi role has come from the determined litigation by survivors of 9/11, the families of the dead and property insurers. A U.S. report, disclosed only after a FOIA lawsuit, hints at deeper institutional links between the Kingdom and al-Qaeda. It states that the Saudi charity, International Islamic Relief Organization’s (IIRO), “support for terrorist organizations began in the early 1990s and continued through at least the first half of 2006” and linked a Saudi IIRO official to Khalid Sheikh Mohammed. The legal efforts that target Saudi Arabia, however, have so far been thwarted. The Saudis have been able to dodge the suits, thanks to what is known as “sovereign immunity” which exempts most foreign states from being sued. The Saudis claimed, meanwhile, that the 9/11 Commission Report exonerated the Kingdom. As former U.S. senator and 9/11 Commission member Bob Kerrey — and one of the authors of this article Bob Graham, as co-chair of the Congressional Joint Inquiry — emphasized in affidavits filed last March, the Commission and the congressional inquiry did not do that at all. Our Department of State supported the Saudis’ dismissal from the litigation, arguing that delicate matters of U.S.-Saudi relations should be handled not by the judiciary but by the executive branch. An appellate court later found this to be an erroneous interpretation of the law in a case against Afghanistan, but the State Department’s intervention on behalf of Saudi Arabia in the 9/11 families’ suit had already placed the Kingdom beyond judicial reach. What should the United States do now? The investigation of the extent of foreign support for the 9/11 hijackers ought to be reopened by the president, who has the authority to order the FBI to pursue the existing leads seriously, or he should designate another appropriate entity to do so. This investigation should reach all the places where the hijackers spent significant time, such as Paterson, New Jersey, Falls Church and Arlington, Virginia, and Delray Beach, Florida. The president should also order the declassification of the relevant documents. They have been hidden from the American people too long. That declassification must include the 28-page chapter that has been censored from the report of the Congressional Joint Inquiry, as well as the reports cited in the notes of the 9/11 Commission’s Final Report concerning al-Qaeda’s financial and logistical support network. The Congress should amend the sovereign immunity statute. Those who framed it did not intend that it should shield terrorists or their collaborators from claims against them for the murder of Americans on U.S. soil. A bill pending in both the Senate and House called the Justice Against Sponsors of Terrorism Act, which enjoys broad bi-partisan (or more accurately non-partisan) support, would achieve that goal through modest amendments to the sovereign immunity statute, and should be passed immediately. What the Joint Inquiry learned — and has emerged since — shows where the proverbial finger of suspicion points. It points to Saudi Arabia, and we need to know the full truth. Bob Graham is a former U.S. Senator from Florida, Chair of the Senate Select Committee on Intelligence and co-Chair of the Congressional Joint Inquiry into 9/11. He is the author of two books on 9/11. Sharon Premoli, a survivor of the attack on the North Tower of the World Trade Center, now runs the website Justiceagainstterrorism.net. This entry was posted on Saturday, September 15th, 2012 at 10:43 PM and is filed under 9/11, new investigation, Saudi Arabia, Senators. You can follow any responses to this entry through the RSS 2.0 feed. You can leave a response, or trackback from your own site. What needs to happen is for the entire Bush Administration to be water boarded. No exceptions. Cheney especially. For only two questions, who was that “young man” with the plane locations, and why was the VP conducting war games?